Search for parts by Year, Make, Model and/or keyword. Check availability of the item. (This will check your inventory level and/or the level of your suppliers in OneSource in real time). View the list price and ‘their’ price for the item. View a picture of the item (when available). Click a button to create and save a Quote. Click a button to place an Order. View status of all open Orders. View Invoice and Invoice Payment History. View current and past Statements. Make a payment on one or more invoices. Request a Return Authorization to Return Parts. (This connects directly to OneSource to see if the part is eligible to be returned, create a $0 Credit Memo (Return Authorization) in OneSource, etc). Save time searching for parts: Your customers do the work of searching for parts, selecting items, and submitting the Order on their own time, at their own convenience. Eliminate the time taken to enter the order: Once your customer clicks ‘Place Order’, you receive an email notification + the order is automatically imported into OneSource–ready to be printed and invoiced like any other Sales Order in OneSource. Keep a little more egg off your face… If your customer orders the wrong part they may be a little more forgiving than if your people had taken a phone order. Make collecting your Accounts Receivable a little easier. When your customers log in (if you have the option enabled) if they are behind on payments it will notify them and prompt them to make a payment. Simplify the handling of Returns. View reports that show who is using the system to get price quotes and what % of those quotes are converted to a Sales Order. MOST online systems require a user name and password–that can be accessed anywhere by anyone who has the login. The problem with this is that if the user name and password ends up in one of your competitors hands then you end up giving login rights to your competitor! OneSource Online Orders was designed to work only on the PC’s that you specifically authorize (based on your customer’s unique IP Address). When a login from a different IP address occurs you will be notified (and the settings can be set to either automatically deny it, approve it, or require authorization). You call, or email, or mail specific customers the URL to your site. (And/or, we add a simple button or link to your existing website called something like Search For Parts). Your Customer will then end up on the sign up page. They will enter their company name, phone #, email, and password and then click Submit. You will then be notified that they are requesting access to the system. You can accept or deny that request. If accepted your customer will get an email and will be able to begin logging in to search for parts, place orders, etc. $3,100 after you go live. $268 a month after you go live for hosting, support, and updates. (Additional customizations to the site after GoLive (which are typically few to none) are billed at $144 per hour). We can schedule a time to give you a demonstration of the site. If you like it we will send you an invoice for the price and payment terms outlined above. We will then install the site and work with you to create a landing page that matches the look and feel of your existing website and/or logo. Next we will provide training to explain the various options and settings to make the site best fit your needs. When ready you begin advertising it to a few customers, and then a few more, and then in whichever mass marketing method you prefer. The sooner and better you promote it the sooner and faster the orders will roll in. 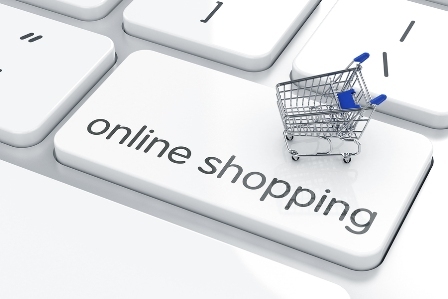 To learn more about how OneSource Online Orders can simplify your business, please contact us.